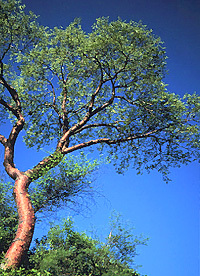 Bursera longipes is one of the many species of Bursera that populate Mexican dry forest. The coppery bark of this species is particularly striking. This one is from central Guerrero.